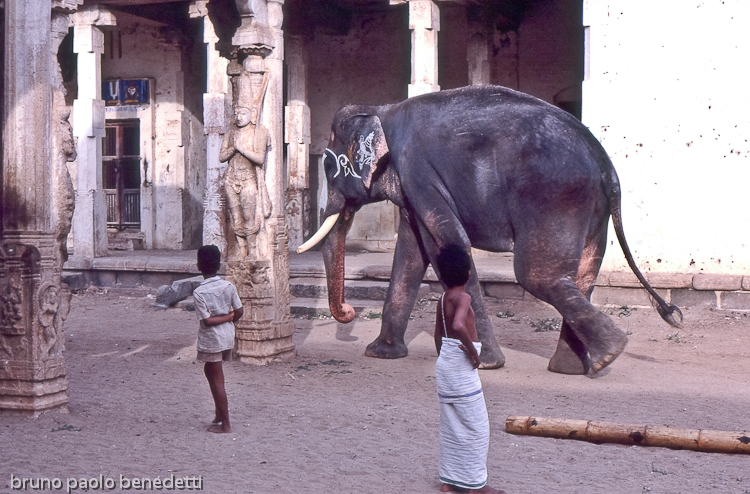 walking elephant in hindu temple of India. Picture with wide depth of filed in limited area. On foreground two boys, one of brahman cast, are lokking at the elephant, which is passing near a column with hindu deity satute on. On background a wall of construction.